Languages show variations according to the social class of speakers and Latin was no exception, as readers of Petronius are aware. The Romance languages have traditionally been regarded as developing out of a 'language of the common people' (Vulgar Latin), but studies of modern languages demonstrate that linguistic change does not merely come, in the social sense, 'from below'. There is change from above, as prestige usages work their way down the social scale, and change may also occur across the social classes. 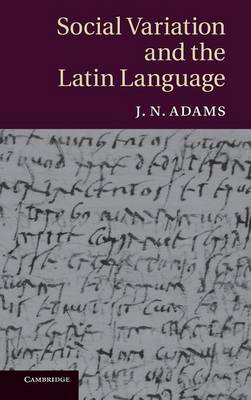 This book is a history of many of the developments undergone by the Latin language as it changed into Romance, demonstrating the varying social levels at which change was initiated. About thirty topics are dealt with, many of them more systematically than ever before. Discussions often start in the early Republic with Plautus, and the book is as much about the literary language as about informal varieties.